There's a lot of software out there for optimizing your computer's performance, protecting you from malware and viruses, and generally "cleaning up" your system. Unfortunately, a lot of this software is loaded with adware, bloat, or even viruses that do the exact opposite from what you wanted. There's a huge market of uninformed users who simply do not know better, and it's the same people who don't know how to keep their computer clean & fast in the first place. Here we are going to go over a couple of proven, free, and useful programs for keeping your computer fast, clutter-free, and safe. Go to Application tab, scroll to the bottom, turn Off "Usage and Threat Statistics"
These are due to the Group Policy settings on the domain that this computer is connected to, not malware. The only way to tell is by looking up the threat name and seeing what could potentially cause it. When in doubt, quarantine the threats detected. 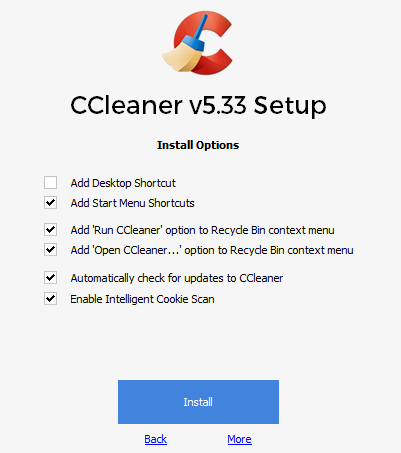 CCleaner, originally Crap Cleaner, is a multi-purpose utility for freeing up drive space, securely erasing files, correcting registry errors, viewing system information, configuring startup applications, and much more. Choose Customize, and uncheck any options you don't want. Select More to specify install location. 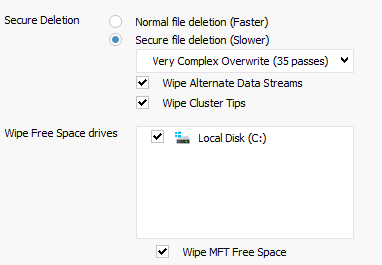 For cleaning up old files: use the Cleaner tab to Analyze & Run Cleaner to delete old files taking up space on your system. A lot of these files are cached information, including auto-fill information like user names and passwords, so don't be surprised if you have to log back in to sites after deleting those files. Take the time to read through the checkbox options to see exactly what you're deleting! For backing up/correcting the registry: use the Registry tab and scan for issues. When fixing the issues, always back up the registry. You may have to run this multiple times before there are no more issues. For uninstalling programs, changing startup programs, and more: use the Tools tab and explore the various things you can do. Don't run anything that you don't understand completely or you will risk permanently deleting important data. Like or resteem if you found this helpful. If you want to directly support my work, you can send ETH or ERC20 token donations to Tomshwom.eth. Find me on Reddit. Personally I am not a big fan of Malwarebytes, but do love CCleaner and recommend it to all my clients. No real issues, just like others , like Emsisoft. EAM is some good stuff, but they serve slightly different purposes. Malwarebytes is more of a complimentary software to an existing AV, and does more in terms of preventative measures. EAM is faster and has a higher detection rate, but it's my understanding that this is because it's based on signature analysis, so it only does anything after you've been infected.